Resonance Records gjør det igjen. 19. april 2019 slipper tidligere uutgitte opptak med henholdsvis Bill Evans Trio og Wes Montgomery på to dobbelt-CDer. Albumet med Bill Evans — «Evans in England» — er opptaket fra en konsert Bill Evans, Eddie Gomez og Marty Morell hadde på Ronnie Scott’s i London i desember 1969. Konserten har aldri tidligere vært tilgjengelig, heller ikke hos samlere. Dette er altså kort tid etter trioens konsert på Montmartre i København, 24. november 1969. Det meste av København-konserten er tidligere gitt ut på to LP-er, «Jazzhouse» og «You’re Gonna Hear From Me», begge på labelen Milestone. Dobbelt-albumet «Back on Indiana Avenue: The Carroll DeCamp Recordings» med Wes Montgomery er opptak med Montgomery i hans hjemby Indianapolis fra perioden etter han forlot Lionel Hmpton-bandet og før han fikk sitt store gjennombrudd med kontrakten med Orrin Keepnews label Riverside. Ved siden av den ordinære CD-utgivelsen av disse to, gir Resonance Records ut to dobbelt-LPer i begrenset opplag til Record Store Day 13. april 2019. De to utgivelsen omtales nærmere i pressemeldingene fra Resonance Records som er gjengitt nedenfor. 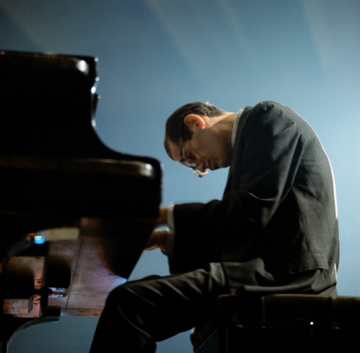 Resonance Records, the leading outlet for high-quality, unheard archival jazz releases, proudly announces that it will issue Evans in England, a vibrant, previously unreleased set of recordings featuring music by lyrical piano master Bill Evans with bassist Eddie Gomez and drummer Marty Morell captured during an engagement at Ronnie Scott’s celebrated jazz club in December 1969. Evans in England, which features 18 electrifying performances by Evans’ brilliant trio of 1968-74, will initially be issued on April 13 — Record Store Day 2019 — as a limited edition 180-gram two-LP set, mastered by Bernie Grundman at Bernie Grundman Mastering in Hollywood and pressed at Record Technology, Inc. (RTI); the package will be available only at participating independent record outlets. Two-CD and digital configurations of the set will be available April 19. The album will include extensive liner notes including essays by producer and Resonance co-president Zev Feldman and jazz writer Marc Meyers; interviews with Gomez, Morell, and filmmaker Leon Terjanian; and rare photos by Chuck Stewart, Jean-Pierre Leloir, and Jan Persson. Evans in England succeeds a pair of widely acclaimed Evans releases from Los Angeles-based independent Resonance that featured the pianist’s short-lived 1968 trio with Gomez and drummer Jack DeJohnette: 2016’s collection of lost studio sides Some Other Time and 2017’s set of Dutch radio recordings Another Time. The latter release was named one of the year’s top historical releases by DownBeat, JazzTimes, the U.K.’s Jazzwise, and the NPR Music Jazz Critics Poll. In 2012, the label released its first album devoted to unissued music by the pianist, Bill Evans Live at Art D’Lugoff’s Top of the Gate, a set of two never-before-heard 1968 concerts from the Greenwich Village club featuring the trio with Gomez and Morell recorded by Resonance founder and co-president George Klabin when he was just 18 years old. As has been the case with some of Resonance’s other collections of rare and unheard jazz, the music on Evans in England arrived at the label’s doorstep via a bolt out of the blue: an unexpected email to Feldman from a man who said he was in possession of some previously unissued Evans recordings. The gentleman in question was Leon Terjanian, a friend and devoted fan of Evans who had filmed the pianist for his documentary feature Turn Out the Stars, which premiered at the Montreal Jazz Festival in 1981. Through the late Francis Paudras, the famed biographer of jazz piano titan Bud Powell, Terjanian had made the acquaintance of a French collector who chooses to identify himself only as “Jo.” A similarly ardent admirer of Evans’ playing, Jo had tracked the keyboardist across Europe and even captured his trio’s sets at Ronnie Scott’s. Evans discovered Jo’s surreptitious recording activities (which employed a small portable machine), but the musician grew comfortable with his presence, and he allowed his dedicated fan to tape his performances. In July 2016, Terjanian received a phone call from 84-year-old Jo, who said he wanted to see his Evans recordings issued to the public before his death. That communication prompted contact with Feldman at Resonance. Arrangements were made with the Evans Estate for a legitimately licensed release of the material, with tracks selected by co-presidents George Klabin and Zev Feldman. 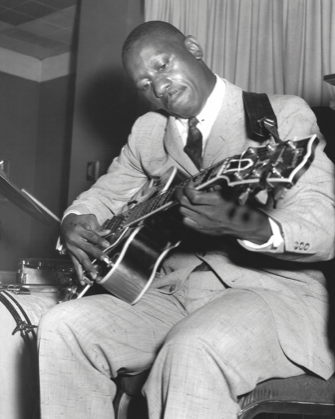 Resonance Records, the leading outlet for high-quality, previously unissued archival jazz releases, delves deeper into the early, unheard work of the innovative and influential guitarist Wes Montgomery with its April 13 (LP) and April 19 (CD) release, Back on Indiana Avenue: The Carroll DeCamp Recordings. In his essay, historian Porter says the provenance of the material on that first Resonance collection became evident after he struck up a friendship with DeCamp, a noted arranger and musician who had been based in Indianapolis for many years. At Porter’s suggestion, DeCamp’s protégé Brook Reindollar contacted Feldman about this precious store of buried recordings — some cut by Montgomery in a studio, some captured informally in “live” settings by DeCamp.